The other night I argued fiercely and publicly at length with an agent of the Federal government whose job it is to create and enact policies that are designed to destroy economically poor communities. After the event, we spoke again, and I handed him my card and told him he should remember my name, as I had committed his to memory, and we would no doubt see each other again. He laughed, and said he would, and then thanked me for my courtesy in our exchange. People later were concerned about why I was so “polite” to him after the event. Here is the deal: The last 11 years of ministry for me have been a ministry of rehumanization – working to recognize and promote the humanity of those society has sought to dehumanize. Folk who are poor. Folk who are queer. Folk who are trans. Folk who are without homes. Folk of color. The Powers That Be seek to dehumanize us and the Jesus story is all about how we recognize and restore humanity to the other. Because of this, I won’t dehumanize people. I won’t call people names. I won’t make fun of The President’s body shape or skin tone. I won’t call his followers idiots. It is possible to disagree with a person while still recognizing their humanity. In fact, I think if we are to survive as a species, it shall be essential. I can disagree with what the US Attorney for the Southern District of Mississippi said and stands for and yet have a cordial conversation and not call him dehumanizing names. Because the truth is, he is not his policies or his ideas but a human being, and thus, as we believe in my faith tradition, made in the image of God. My decision to not dehumanize people who disagree with me doesn’t mean I don’t take those disagreements seriously, and it doesn’t signal any lack of commitment on my part to the cause of justice, and, as US Attorney Hurst found out, it doesn’t mean I won’t call you out. Rather, it is *because* of my commitment to the liberation of all people that I am committed to this – because we all need liberation from the forces that hold us hostage and seek to destroy us. I was sitting at Waffle House, looking at my email while eating my breakfast, when The Huffington Post announced that Aretha Franklin, the Queen of Soul herself, had passed away. We all knew it was coming. She had been in Hospice care for a few days and the internet gossip machines had her at death’s door for most of the last week. Her death wasn’t a surprise at all – in fact, we had all been expecting it. But when I found out, sitting in that Waffle House on a sunny day, in good spirits, grief and pain washed over me like a wave. I literally felt pain and mourning for someone I did not know, had never met and who has had minimal impact on my life. I loved me some Aretha, don’t get me wrong. Her genius and mark on the industry are undeniable, and even people like me who are not huge music people know who she was and can name at least a couple of her songs. But I don’t really understand my profound sense of grief over her death and it changing the entire tenor of my day. I guess the thing I am wondering is, does the way I get the news affect how I process the news? If I had read it in the paper tomorrow instead of having it shared by a dozen of my friends, would it have changed my emotional response? As a depressive person, I know the least thing can set off a wave of emotional response – is there something about social media and how it functions that change the way we process our emotional response to things? And if so, is social media inherently bad for our mental health? I have been in Jackson since the end of June. During that time, I have been in at least 30 or 35 meetings. If it was an open meeting, I showed up. And I listened, and I took notes, confident that the intersection of my gifts and the world’s needs would intersect, as they do for each of us. I have almost filled two composition books with notes. Why? Because I am trying to figure out what is mine to do here. Because the easy thing to do would have been to use my white and male privilege to swoop in as The Great Hughsis and launch my six-point plan to fix whatever, but the right thing to do is to see what is already happening and see how I can bring my gifts to bear there*. Basically, my whole theory of ministry is that it is about looking and listening, and then, when a need shows up, being willing. In the movie The Shootist, John Wayne plays an aged gunfighter, John Books, who is eaten up with cancer. The movie is all the more poignant because while he was filming this movie, Wayne himself was eaten up with cancer. More and more, my prayer is less that I am good, and more that I am willing. As of this evening, Renee and I have been in Jackson MS for 35 days. We are living in a tiny, temporary apartment downtown just a block or so from the capitol building, where us and three cats are trying to make the best of it while we wait for our house in Raleigh to close so we can buy a house here. Since our moving here, people have been asking what, exactly, it is we are up to down here, professionally. So I wanted to give you an update. Thanks to the generosity of a donor who agreed to cover my salary, I was recruited by Open Door Mennonite Church to start a Peace and Justice Center here in Jackson. If you are familiar with my work around homelessness in Raleigh, nothing we will be up to here should surprise you, except there are amazing folks working around homelessness here, and the pressing needs in Jackson center around hunger and education. But while the emphasis is different, the core problem is not – the solution to the world’s issues is, and always will be, community. Our community contains everything we need to live a good life. Whether what we need is housing, food, an adequate education or just a life worth living, we can find all of it in our community. So, it makes sense to me that the only way to work for justice long term is to build communities. My core competency for the last 11 years has been community building among diverse populations. I was made for this. It is early days yet. I have a building of sorts – it is a Quonset hut with a broken air conditioner, but I have a window unit in the room I am using for an office. The floor is scattered with books I brought, but there isn’t a budget for bookshelves yet, and the internet hasn’t been installed yet, anyway. The building was, the last time it was used 8 years ago, a daycare, so there is a timeout closet and tiny toilets and primary colors to go with the leaky roof. But it is a start and will be a place to hold meetings and if we ever get the budget to fix the AC, a place to hold weekly community building meals and after-school programs and local community-building educational programs. It may surprise you to learn this, but an all metal building in the middle of a Mississippi summer is just unbearably hot to be in if the air conditioning doesn’t work. Meanwhile, I am meeting lots of folks already doing good work down here, and I am trying to figure out where the gaps are and how a Peace and Justice Center can be useful. In a place as historically troubled as Jackson, it is not a question of finding work to be done, but rather discerning what of the overwhelming amount of work there is to be done is mine to do. I am partnering with Open Door Mennonite to do this. They are acting as fiscal sponsor for donations while we get things off the ground, they donated the use of the building, and they have called me to be their (unpaid) Community Pastor, which is something like a combination of the roles of associate pastor and parish priest. Basically, it is my job to help them engage the neighborhood, and city, around them. I preach once a month or so, and there are potlucks and diversity and lots of hugs. Renee and I feel loved and welcomed. So that is our story. We are trying to build a new life here, with a new organization, a new faith community, and tackle new problems. Here is how you can stay in touch, help, and know what’s up. 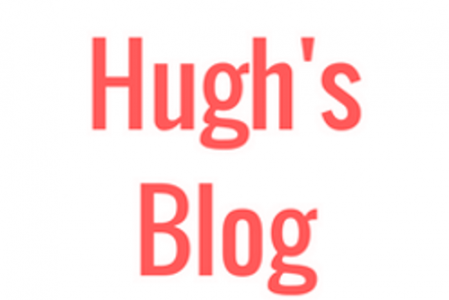 If you want to keep up with me personally, and know what is going on in our lives, what I am thinking about, reading, working on and generally have access to my inner life, I suggest you sign up for my weekly newsletter (I call it The Hughsletter. I know, cute, right?). If you want to know more about the work of The Southern Peace and Justice Center (most ambitious name ever!) you can go to our website in progress and give us your email address. The site will be launched at the end of August. By the way – the Southern Peace and Justice Center already has a Facebook account. Do me a solid and “like” that page, would you? Someone asked if I am still doing my speaking and consulting work – I am, but it has slowed down a lot as I am getting things here off the ground. If you have something amazing we should work together on, send me an email to hughlh at gmail. And lastly – we are going to need money to make it all work. Like I said, because of a donor’s generosity my salary is covered, but that is all that is covered. We have zero budget right now, and I fronted the web hosting fees out of my own pocket as we prepare to launch. If you want to be part of our early support team and help us get this thing off the ground, please go here and make a one-time or recurring donation. Your donations are tax deductible as a donation to Open Door Mennonite Church, who is managing our money for us as we get the paperwork ready to launch the new nonprofit. I am excited I get to do this work, and grateful I get to do Justice work in my native state of Mississippi. I am grateful for that, and grateful for your love, prayers and financial support that makes all that happen. When I was a boy, my dad worked for a local propane company, where he was the branch manager. And with the job came many keys – the keys to the building, the tool room, his office, the shed out back, the garage where they repaired the trucks… so many keys. He had a giant keyring he carried on a clip on his belt that jangled when he walked and had another, larger keyring with more seldom used keys on a ring clipped to the emergency brake handle on his truck. One of the strongest sounds I associate with my dad was us in the truck and him pulling the brake handle to release it, and the keys jangling. One day when I was maybe eight or nine, I asked Dad why he had so many keys. He told me that each key represented a responsibility he had. That answer was almost throw away, but over the last five years as a homeowner, it came home to me. I had the keys to the front door, to the basement, to the tool shed, to the car, the office, the church, the chicken coop. With every new responsibility came another key., until my keyring was full. Then we moved to another city. I turned over my house keys and my work keys until all I had on my keychain was the key to a 12-year-old, paid-for car and an apartment we rent, that someone else is responsible for. Two keys, virtually no responsibilities. Sunday I got my set of work keys – four of them. I am up to six now, as responsibilities come creeping back.